‘Digital Marketing Tools’ brings the latest marketing tips, strategies, practical step-by-step guides and how-to blueprints focused on establishing a successful marketing strategy for your business and profession. 10 Graphic Design Hacks that’ll Make You a PRO Designer Overnight! CLICK HERE » GET a PDF of April-2019 ‘Digital Marketing Tools’ sent right to your mailbox! 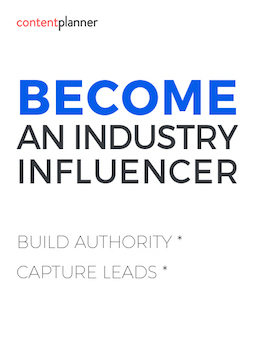 Download a FREE issue and find how you can accelerate your digital marketing NOW! The latest tools, tips, strategies, step-by-step guides and how-to blueprints from Social Media Marketing Experts! FREE on iTunes: Download DMTs Special Edition: Social Media Marketing Quick Start Guide FREE on iTunes NOW! 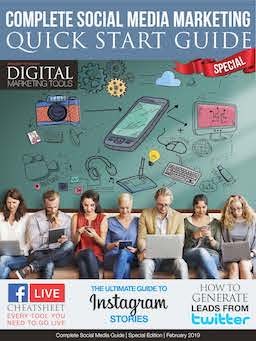 FREE on Android: Download DMTs Special Edition: Social Media Marketing Quick Start Guide FREE on Android NOW! CLICK HERE » GET a PDF of March-2019 ‘Digital Marketing Tools’ sent right to your mailbox! CLICK HERE » GET a PDF of October-2018 ‘Digital Marketing Tools’ sent right to your mailbox! CLICK HERE » GET a PDF of September-2018 ‘Digital Marketing Tools’ sent right to your mailbox! CLICK HERE » GET a PDF of July-2018 ‘Digital Marketing Tools’ sent right to your mailbox! CLICK HERE » GET a PDF of May-2018 ‘Digital Marketing Tools’ sent right to your mailbox! CLICK HERE » GET a PDF of April-2018 ‘Digital Marketing Tools’ sent right to your mailbox! CLICK HERE » GET a PDF of March-2018 ‘Digital Marketing Tools’ sent right to your mailbox! CLICK HERE » GET a PDF of February-2018 ‘Digital Marketing Tools’ sent right to your mailbox! CLICK HERE » GET a PDF of January-2018 ‘Digital Marketing Tools’ sent right to your mailbox!